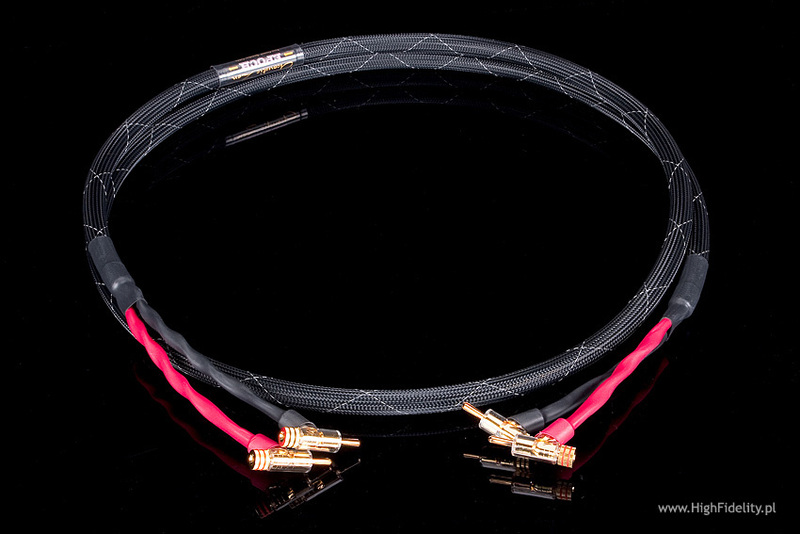 Cables from a company, housed in sunny California, USA, Acoustic Zen are mostly know for its AC power cable Gargantua, which stirred up the audio community, especially in America. I maybe unjust for other products from that company, but this is the impression I got from product reviews and show reports, where this company gets mentioned. And, at least at first glance, it looks as it should be different – and following the trail of the “non-believers” (although this is not a question of belief, but experience), we could say, that this must be different. Robert Lee, the founder and main constructor of this company, is a trained violin player, and he should laugh at such things. But Lee is an example for the fact, that musical education, when allowed to surpass the limiting “dogmas” and put the non-belief at side, can lead to unexpected results, by opening the ears to reality. Acoustic Zen is not the first company Robert Lee is involved in, because he did found it in 2001, when he left another American cable manufacturer, the company Harmonic Technology – a company he actually co-founded (in 1998). Both companies are connected with the technology the conductors are made with – in both cases those are long, singular crystals. This methodology in Acoustic Zen is called Zero Crystal. It is important, that Robert Lee is a pioneer of this technology, and Harmonic Technology was the first company to use it. The technical data and information about the construction of the cables, as well as the product philosophy can be found in the White Paper. 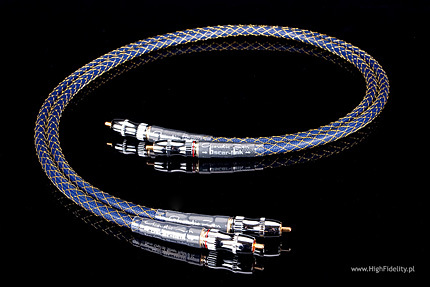 I’ll just mention, that according to Lee, the Acoustic Zen interconnects, digital cables, loudspeaker cables and power cables are made with the best available components, like pure silver and copper, both with 99.99997% purity (6N), and the conductors are placed in Teflon tubes, and are wound together in such a way, that the cable geometry should not change, even if the cable is bent hard. 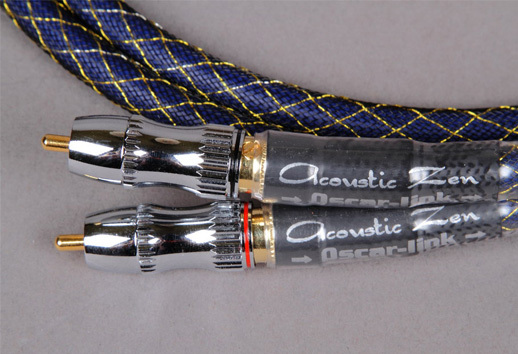 Although the company became known for their expensive products, for testing we selected a set of cables, composed of the interconnect Oscar-Link, the loudspeaker cable Epoch and the AC power cable El Niño. In the end the test appears in an issue devoted to budget hear. This is why the last two are the cheapest propositions of this manufacturer, and the interconnect is the second cheapest, the cheapest one being the Action 2.0 costing only 330zł for 0.5m. 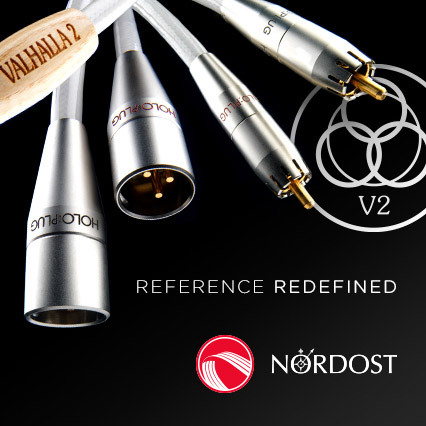 We would need to pay 2200zł for the whole cable set, what, for audio standards, is a fair price. Jack Johnson, Sleep Through The Static, Brushfire Records, 56055, CD; review HERE. Charlie Haden, The Private Collection, Naim, naimcd0108, 3xCD; review HERE. Ann Richards, I’m Shooting High, Capitol Records/Toshiba-EMI, TOCJ-9653, CD. Diorama, Her Liquid Arms, Accesion Records/Irond, Irond CD 04-585/DD90, CD. Henry Purcell, Ten Sonatas in Four Parts, Retrospect Trio, Linn Records, CKD 332, SACD/HDCD. e.s.t., Viaticum. Platinum Edition , ACT Music+Vision, ACT 6001-2, CD; review HERE. Wes Montgomery, Smokin’ at The Half Note, Verve Master Edition, Verve, 2103476, CD. The Zen Acoustic interconnect sounds with a very “colorful” sound. It is very tonally rich, and each of the sub ranges is shown in an attractive, but not exaggerated way. It reminds me vividly of the sound of Harmonix cables, but not the former company of Mr. Lee, I do not know those products, but Harmonix from Japan, the product of Mr. Kiuchi, who is also responsible for Reimyo gear. Here also everything is very vivid and saturated. Different, than in my Acrolik, the treble is very vivid in the Zen, stronger, and more “boosted”, as if the sound was more “ripe”. Such a ripe fruit (sound) is just plain sweeter. It is hard to say, if this is “too much” or “just right”, because much will depend on the system, the cable will be plugged in. For sure it will not make any mess in the sound, because while the definition of the sounds is not as precise, as in the mentioned Acrolink, then still a splendid union in the whole sound spectrum, not favoring anything, and the overall politeness of the sound – this is a very good term to describe it – result in a cable, that will not destroy anything, in contrary: it may increase the attractiveness of many systems. Especially those based on tubes – the bass region is strong here, not “boomey”, but just plain strong, well controlled, and at the same time edgy. And those are qualities often lacking in a tube. And we are not talking about hardening the attack, I would even say, that the attack goes in delicate, with a certain “delay” – but not washed out! – but that there is a kind of energy, that is discharged quickly there, where the bass drum hits, on the contrabass low notes, etc. The top end is quite strong, but we should follow the bass trail, and not the brightening trail. This is the top range known from tube devices, where it was not castrated, but where people tried to extract most of the “tube” from the “tube” – like in the preamplifier CAT-777 Reimyo etc. I tie another parallel to the Japanese product, but it is hard for me to get rid of it. The Zen does not boost the midrange. Because this subrange is surrounded on both ends with such strong playing, it will not sound that “go-ahead”, like the treble or bass. But by far this is not “loudness” type playing, but the energy here is not as high as from the frequency range extremes. I spoke about a good tonal balance, and I confirm that, because there is no withdrawal of the midrange – it is all about energy. And this is easy to define in this case, because the cable is incredibly dynamic – really incredibly. And although microdynamics is more important in the description, in the macro range we have a rather explosive picture, than a calm one, rather going forward, than static. My Acrolink is more restrained in that aspect, and in more expensive system it will fare better. But taking into account the huge difference in price, and with what type of electronics the Acoustic Zen cable will work, then this can hardly be regarded as a flaw. 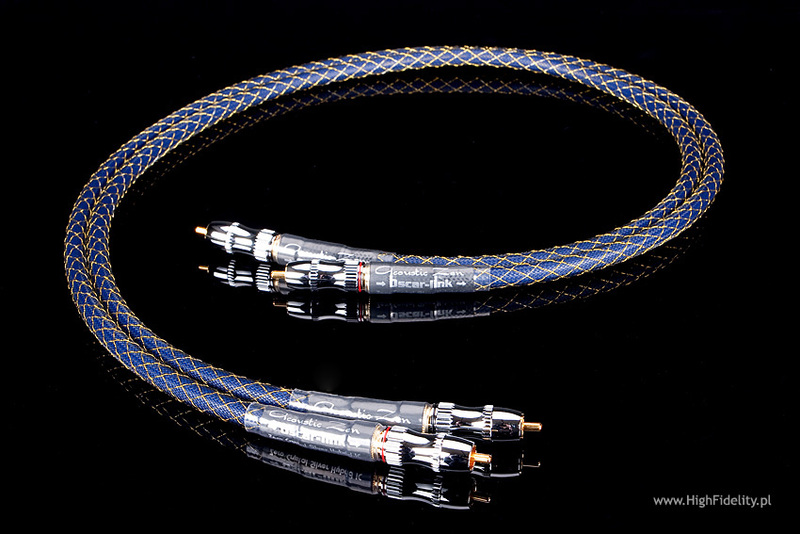 Like I say – this is a very “colorful”, dynamic cable, with splendid frequency range extremes and a nice midrange. It will sound best in a system, that needs some animation, but not by brightening (this can be achieved by regulating the tones in the amplifier), but by increasing energy, something that does not only pertain to a static measurement (frequency response), but also with the way it behaves in time (energy). There is no smudging, slowing down, but at the same time this is not the master in terms of coherence and resolution. It is very good. The loudspeaker cable seems to follow the same path, with the difference, that all elements I mentioned were intensified. 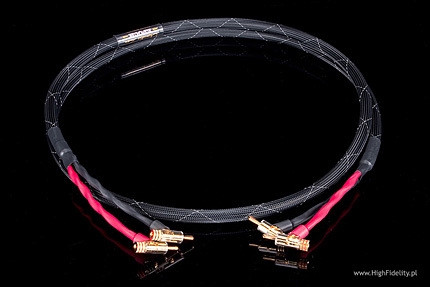 Here it is closer to the loudspeaker cable Acrolink Mexcel 7N-S20000 than to the Harmonix HS-101EX Equisite, while the interconnect from Mr. Lee was very similar to the Harmonix. The sound of the loudspeaker cable Epoch has many accents. When the cymbals hits, then it really hits, when it is a contrabass, then it is alive, it reverbs, but it hits even faster. The timbre is close to that, what is shown by the interconnect, but the upper midrange is clearer here, and better defined.